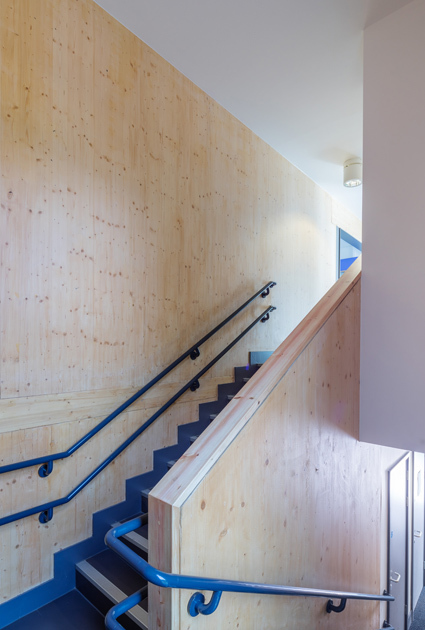 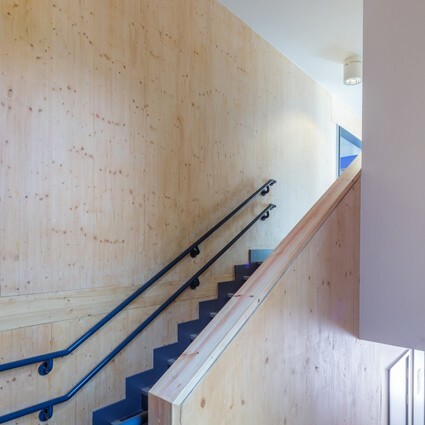 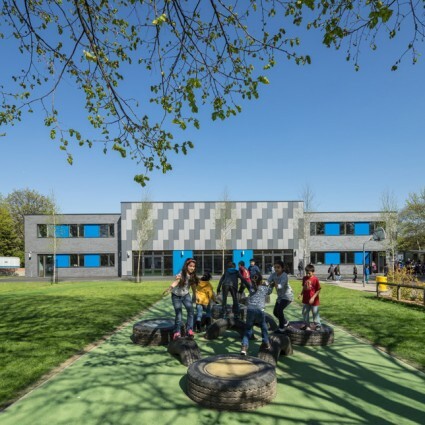 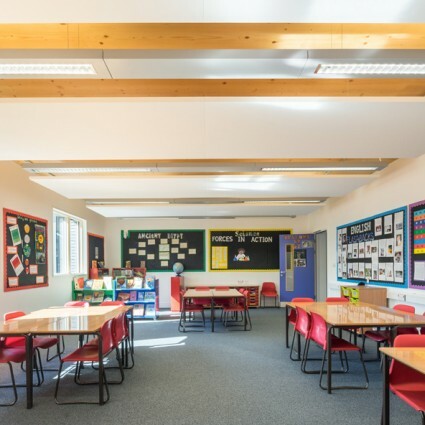 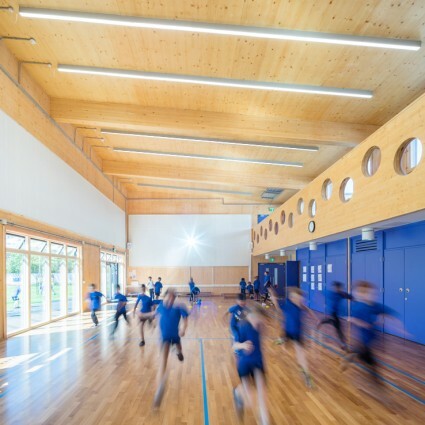 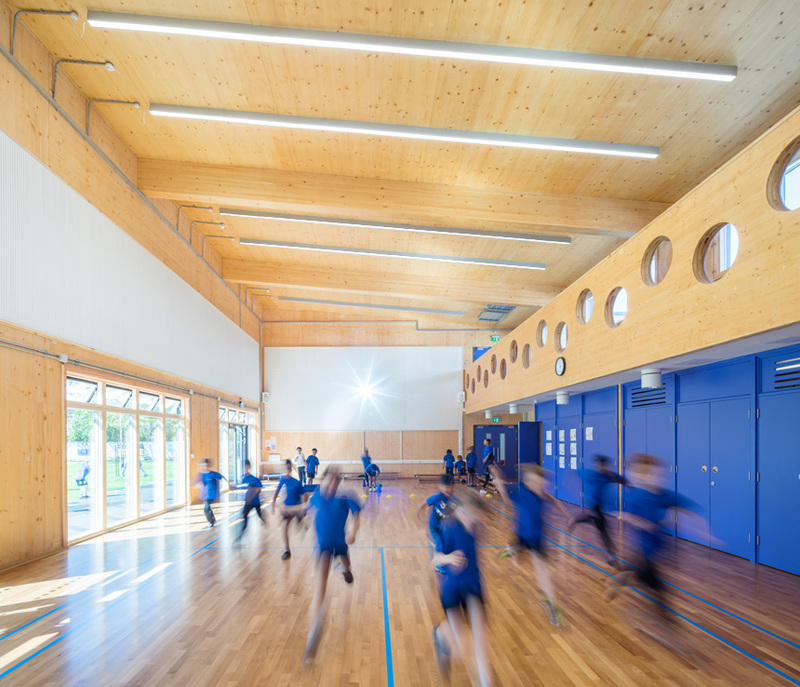 This scheme is one of a series of school expansions in Forest Gate and provides a new hall, new classrooms, WCs, staircases, an enlarged staff room, new landscaping and play areas and improved kitchen, entrances and circulation. 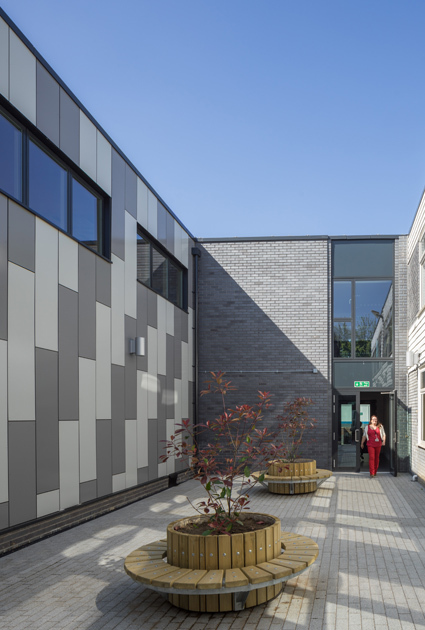 In keeping with the symmetrical arrangement of the existing building, the new hall and classrooms sit parallel with continuous west-facing access onto the playground and form an open courtyard to the east. 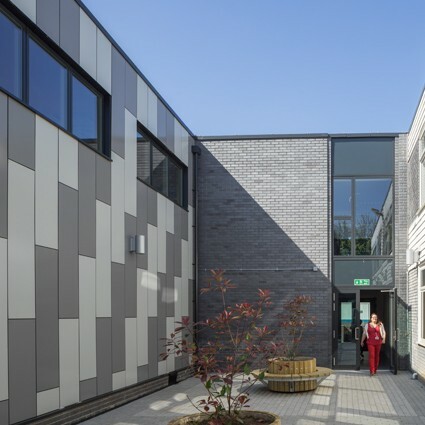 Materials complement the existing building with blue/grey brickwork and vertical blue and grey rainscreen panels to emphasise the height of the hall. 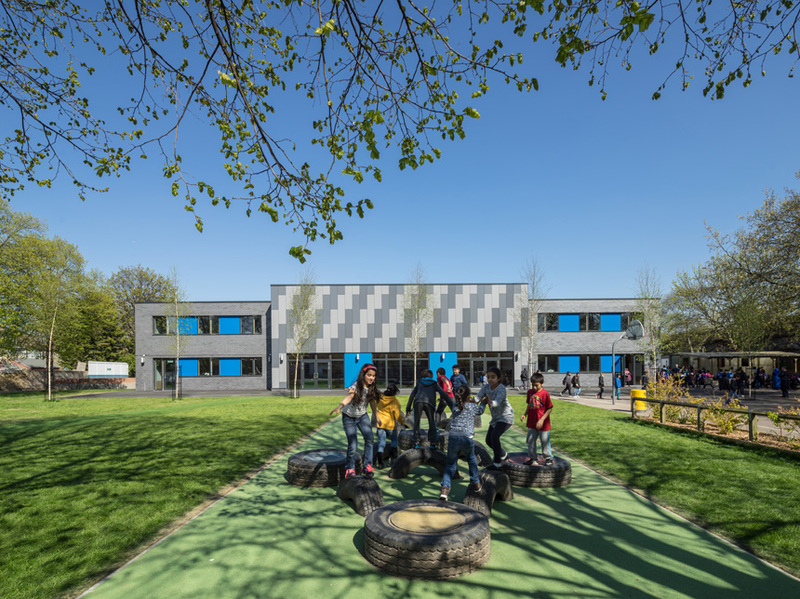 The pupils were involved with the design of their new playground, providing over 70 sketches of ideas, some of which were incorporated into the final design. 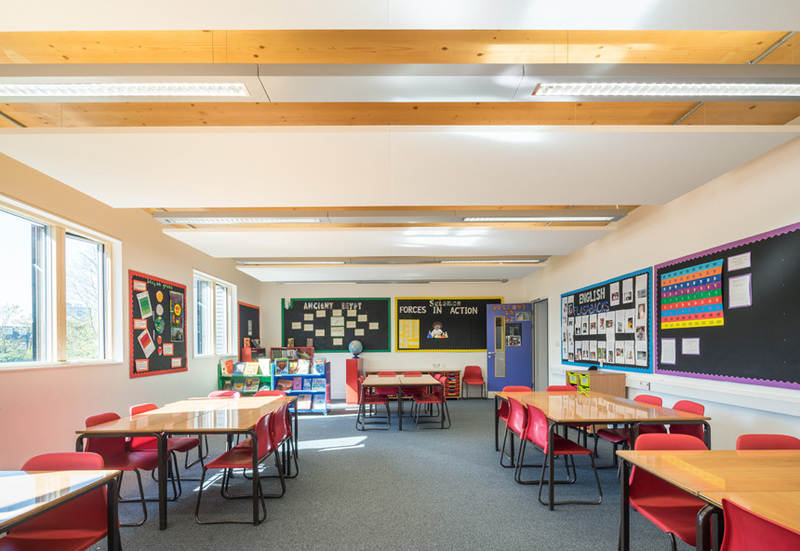 "You have taken on board our ideas and concerns, which has made the process far more meaningful when it comes to engagement and partnership."